We offer a lot of locksmith services to our clients in St. Mary’s 2760 NSW and all of these are geared towards making sure that you and your property are as safe as possible. There are lots of services that we offer to our clients, and all of them are offered by the best locksmiths on our team. 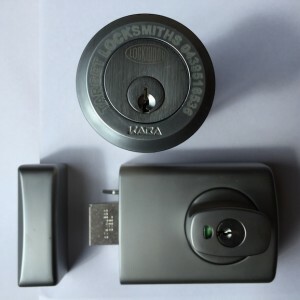 We have professionals who are well aware of as many locks solutions that you can think of, and for this reason you need to relax and let us serve you. We have all the tools and equipment that you need to offer these services to you like engine immobilization systems. We like these better than alarm systems because rather than relying on someone to respond to an alarm, and stop your car being stolen…. an engine immobilization simply stops your car from being driven. Simple, effective. Whether you have lost your car keys or even if you have accidentally locked yourself out of the car, you can rest assured that we will be there to assist you gain access to your vehicle again. If at all you have a problem with the locks at your workplace, or even if you want to upgrade them or change them, you can still call us and we will bring you the best systems in the market. Of course we will install for you the best of what you can afford, so that we keep things within your budget. If need be, we will also advice you on which systems are more appropriate for your premise. We provide a professional and affordable service to real estate agents and landlords as well, with an emergency rekeying service provided after an undesirable tenant has left. If you want a security safe either in your apartment or at the office in St. Mary’s, you can also rest assured that we can install it for you easily. Locked out of My unit in St Marys? We can get you back in with the best price Locksmith to unlock your door. St Marys Lock out Locksmiths help you when your Locked out of your unit door. Call Target Local St Marys Locksmiths to unlock your unit door when your are locked out. Found yourself Locked out of your Apartment in St Marys. We can unlock your apartment door fast by picking the front door lock open. It does not matter how many locks you have on your apartment door it will still cost the same low locksmith price with us. Locked our keys inside your home. Often we get calls from people saying they have locked there keys in the house. Usually keys are justing lying on the bench, on the otherside of the door, in a jacket pocket, on the floor, on the key hook. 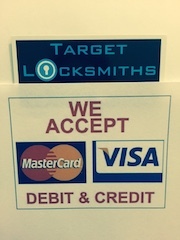 It does not matter we can get your door opened and help you as St Marys Lock out Locksmiths. Locked the keys in the car. We know its stressful when you lock your keys in the car as you try to find anyway possible to get back in the car. If you know your keys are inside the car call us to unlock and open your car door in st marys. Being Locked out of a Car in St Marys Call Target Locksmiths to get your car door open again. Target Locksmiths change Locks and rekey locks to allyour doors and windows. If you have moved into a new premises and you are looking to get the locks cahnge by a local St Marys Locksmith talk to us. we are St Marys mobile Locks that will come to your place and make new keys for your locks on any door and any window. Best of all we are St Marys Lowest Prices Locksmiths in NSW.